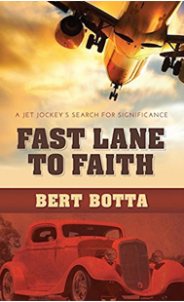 As a teen hot-rodder,Bert traded speed on the drag strips of San Francisco’s Bay Area for the Captain’s seat of a modern day jetliner on a whirlwind voyage of spiritual discovery. From ashrams high in the Himalayas; the Great Pyramid and tombs of Egypt; and the deep jungles of the Philippines, it was only after returning to San Francisco that Bert realized that his “Fast Lane to Faith” had him looking for spiritual satisfaction in all the wrong places. Bert’stouching and humorous story of the relationships that finally led to true love will encourage, inspire and motivate you to dream big, conquer your fears, and take flight. 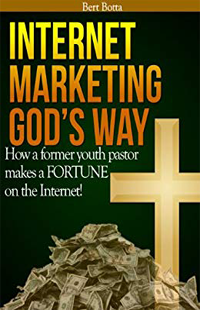 Based on an interview with successful internet marketer and former Christian youth pastor, Jeff Mills, this book will take you beyond the facade of the fast-paced world of internet marketing. With many self-professed Internet marketing gurus purporting to have the latest ‘get rich quick’ scheme, how could anyone, let alone someone who’s faith is at the core of their being, be expected to extract the real ‘nuggets of gold’ from the masses of trash on offer? Join Bert as he delves deep behind the curtain to find out how Jeff managed to maintain his authenticity, balancing his success and thriving business with his values and the principles of his faith. 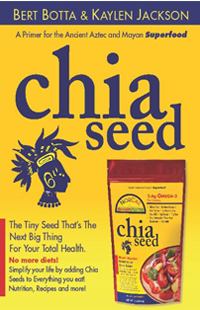 Think you know everything you need to about Chia Seeds? Think again! This fascinating book covers the journey of the humble chia seed, from its Aztec and Mayan origins through to the superfood powerhouse it’s come to be known as today. Widely used, but little understood, learn the benefits of this incredible life-sustaining ancient seed and how to use it best to properly maximise the benefits, so you can to heal and energize your own body to a new sense of verve and vitality.